When I read a book for review, I don’t always read the summary. I do that to see how well the author conveys their idea of the story throughout the narrative. Sometimes that fails, and by the time I reach the end of the book, I look to the blurb on the back cover for clarity. 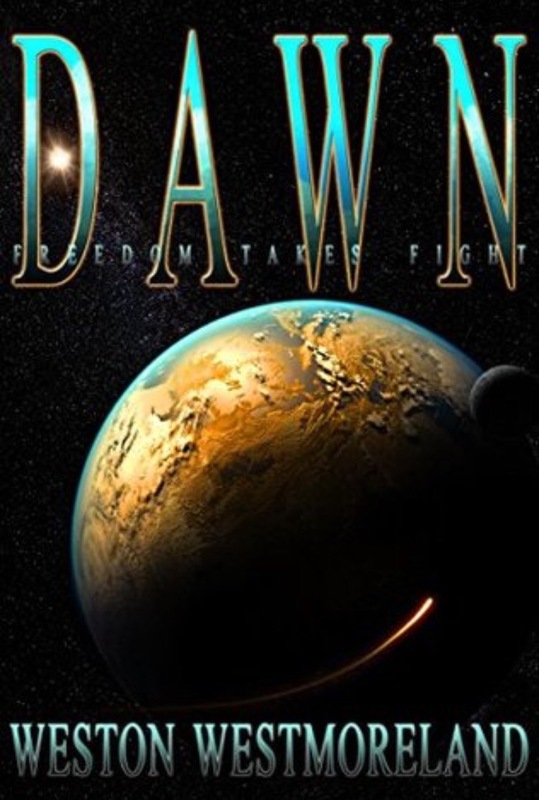 Contained within the blurb for Dawn were important details pertaining to the world-building. That’s not to say there’s no world-building inside, however. The reader gets thrown into the world of Arweg with not enough detail for a full, clear picture of the conflict, some of which doesn’t come until later in the story. Almost like it was the 2nd or 3rd novel in a series, and the reader had already been introduced. So, Mara and Brod discover a capsule while digging that triggers an invasion. That invasion triggers a rebellion of their caste society. In the most Conan or Rambo sort of way. The writing style worked well for the tone of the novel. Character interactions were done well. Dialogue was awkward in some places. The plot did manage to make a couple surprising moves. Some were hinted at with foreshadowing, some happened out of nowhere. Some made sense and fit with the plot. Characters, while treated well, felt flat. Readers were told their emotional state rather than shown. This led to a disconnect between reader and character. It felt like just the basics of their personalities shone through. When critical moments came around that were designed to hurt the hearts of readers, it didn’t happen that way. I just wasn’t invested enough to have them make that much of an impact. As far as sci-fi went, this stuck right to the formula. The plot wasn’t very original, but it was an interesting execution on the government/revolutionary society. Maybe with a little tweaking in the way the story unfolds, there would be overall improvement. A sound story lurks within, along with a pretty good writing style.